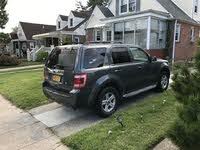 Start a new Ford Escape Hybrid question. Just bought a 2006 hybrid 40k miles. Not too familiar with hybrids. When unlocking it makes a weird noise under the hood. Is that normal for this model? 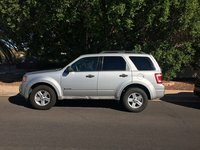 How Can I Solve The Starting Problem On My Ford Escape Hybrid 2007? 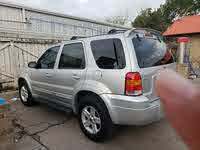 I just bidded for this 2007 Ford escape hybrid and it would not dtart? what can I do? The Ford Escape Hybrid is an intriguing attempt by the American automaker to bring an environment-friendly approach to the SUV market segment. The traditionally fueled Escape has caught on with drivers who want that sport utility vehicle comfort, versatility, and toughness, but who don't want a gas guzzler. 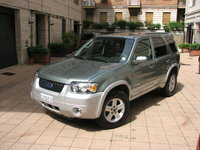 With this in mind, Ford launched a gas/electric hybrid version of the Escape in 2005. Although the Escape Hybrid's mileage has never equalled that of other popular hybrid vehicles like the Toyota Prius or Honda Insight, it's far and away superior to the mileage you'll get from a gas-powered SUV. Superior by 70%, according to Ford and the EPA: A regular Escape with an inline-4 gas engine is estimated at 20 miles per gallon city, while the Escape Hybrid clocks in at 34 city miles per gallon. So the Escape Hybrid may be the best choice for someone who wants to drive green, but needs an SUV. As the model's mascot, Kermit the Frog, says, "Sometimes it's easy being green!" 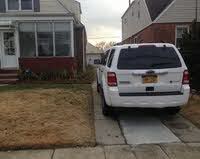 Unfortunately, it's not cheap; the Ford Escape Hybrid is one of the pricier SUVs in its class.